In late March, 2016, KS started work in Iowa on the Clarinda Replacement Line project for our customer, Alliant Energy. This project was awarded to us in part as the result of our successful work for Alliant in Beloit, WI earlier this year. This steel pipeline project spans over 87,000 feet (over 16 miles) in Southwestern, IA, near the communities of Clarinda, Villisca, and Red Oak. 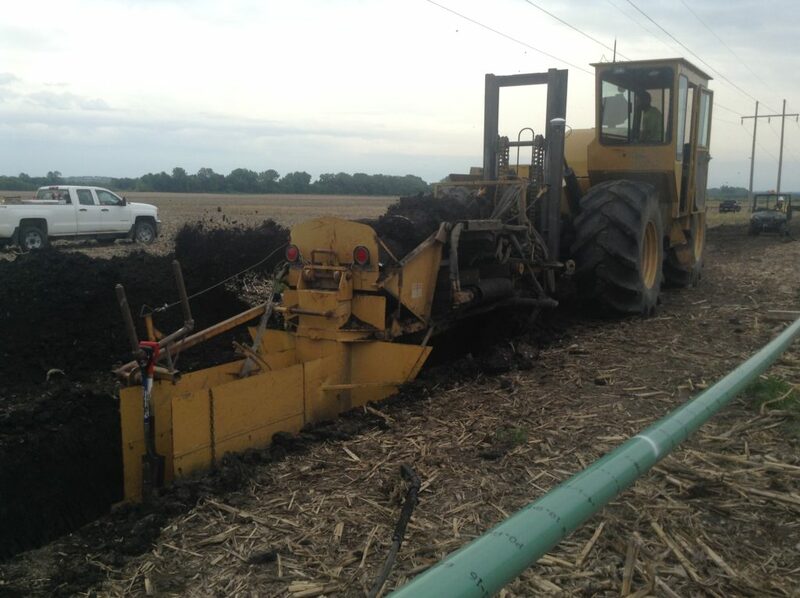 The work replaced and upgraded both 6-inch and 4-inch gas transmission lines. Per project leader, Scott Zeitler, while the terrain was mostly flat plains, the work did include 43 separate bores under various bodies of water, wetlands, and a significant drill (100 feet deep) under an elevated railroad track. The project was split into two phases. As of the end of May 2016, construction was completed on phase one and testing was underway. Pipe installation for phase two was completed by the end of the following month. Then, an additional month was spent testing, completing tie overs, and restoration before it wrapped up, as scheduled, at the end of July 2016. We had approximately 50 KS team members contributing to this project which included a 50/50 mix of longterm KS team members and new recruits. Thank you to our team for making it a success!